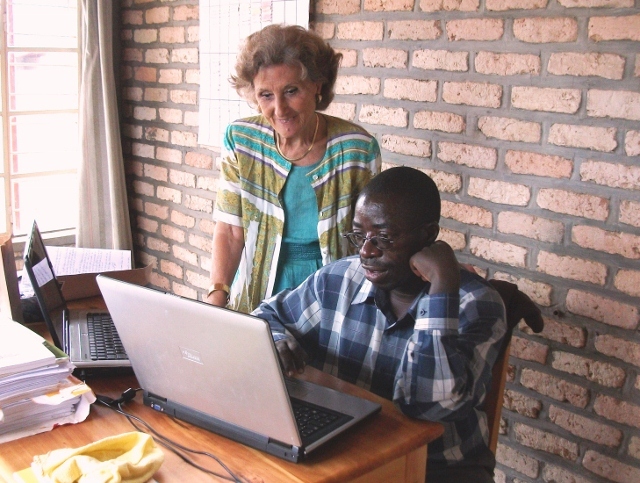 Raina Luff, President & Founder of Ahazaza School, in Southern Province, Rwanda. 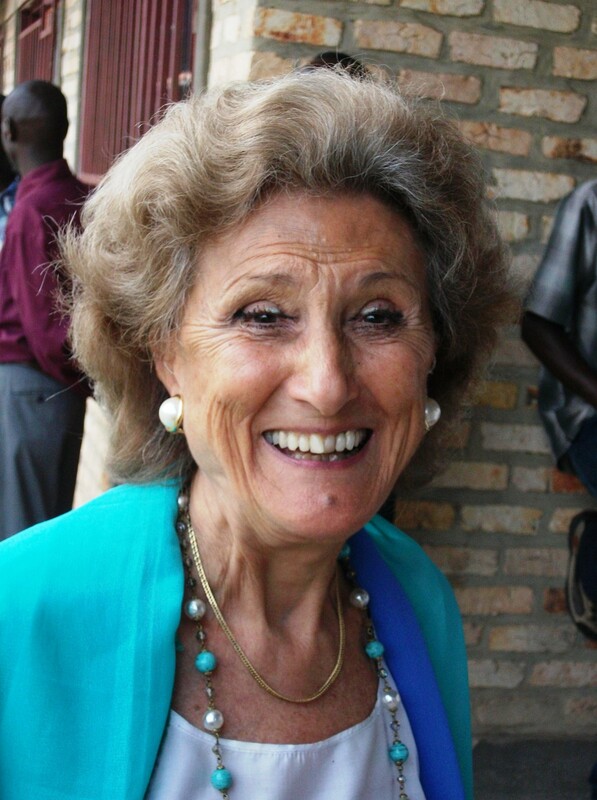 The inspirational Raina Luff, seventy seven years young, is the force behind the amazing Ahazaza School located in the heart of Rwanda. The Ahazaza School project is conceived to provide a platform for lasting development and means "Future" in Kinyarwanda. It sees itself as a pilot school with the intelligence, ability, motivation and discipline to work for the Rwanda of tomorrow. Raina talks about why the school is such an important investment and what is needed for the project to continue to grow. Born to a Bulgarian father and to an Italian mother, British by marriage, and now dividing your time between Belgium and Rwanda; would you describe yourself as a 'Global Citizen’? Yes, I grew up in Italy and, on and off, in Bulgaria. I studied in Italy, London and France and after my marriage lived in Spain and Belgium for many years where my children grew up. I specialised in international and criminal law and this took me to Vienna, New York and Burkina Faso before I finally settled in Rwanda. I understand it was a UN assignment that brought you to Rwanda in 1995, can you tell me more about the assignment and how it came about? I was working for the UN and was supposed to be going to Guatemala to supervise the implementation of the agreement between the guerrillas and the government. I was very disappointed when they didn’t agree and the placement didn’t happen so the UN proposed that I came to Rwanda instead.My role was in the public prosecution department. I assisted the public prosecutor in training the judicial police and performing enquiries into genocide. Was this your first visit to an African country? Yes, I didn’t even know where Rwanda was! My children were all grown up and married by then so they come for visits only. I didn’t intend to stay but the local international university asked me to go and teach there and I enjoyed it so after I retired from the UN I carried on teaching. Did you find that Rwandans are quite accepting of a woman travelling alone? Yes, it was not a problem. People were very accepting. The biggest challenge was to make people think, reflect and question what they are doing. People here were not results focused and were not accustomed to taking initiative. You’ve been here ever since. Was that the plan all along? I stayed because I love the country. I knew that I could be useful here and can see the positive results of my work. With your legal background, you had the opportunity to shape Rwanda’s future through its legal institutions. 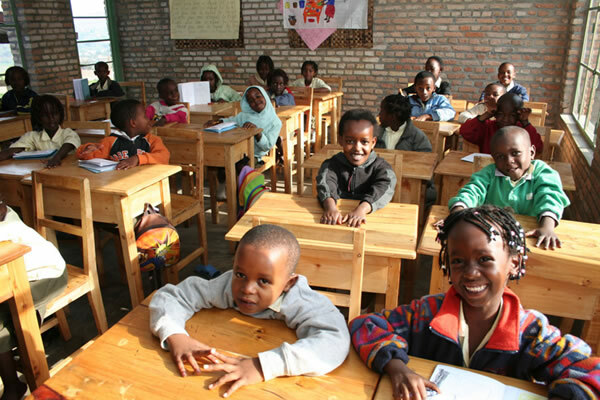 Yet, you chose to build its future through the provision of good education to Rwandan children of all backgrounds. Why is that? The priority in the country’s struggle against poverty is education, as knowledge is the only real capital of those who have nothing. Knowledge is the cornerstone of equality. What do you intend to do that is different from other schools in Rwanda or even in Europe? The school’s motto is ‘listen, think, know, act’ and these are the things I want to instil in the children. They are immersed in English and French from kindergarten onwards and so become trilingual. They really have the best qualified teachers available. Were the locals in Gitarama receptive to the school or sceptical about a European providing an education to their children? People thought it wouldn’t last but now there is a long waiting list – everyone wants to come to Ahazaza! With Ahazaza, it is your intention to provide a good education that is potentially accessible to all children, irrespective of their financial circumstances. Have you managed to achieve that? Yes, one third of places are scholarships although financing them is difficult. What are you doing to ensure that your students will be an integral part of the future of Rwanda, and not just migrate in search for ‘better’ opportunities elsewhere? Ahazaza develops their understanding of the local culture and teaches them to be proud to be Rwandese. We give them the methodology and capacity to make a difference and give them an understanding that Rwanda has good opportunities of its own. What challenges have you encountered with the development of Ahazaza? Fundraising is a constant challenge and takes up so much time that should be dedicated to developing the teaching programmes. I’m never satisfied, things could always be better. My proudest moment was when education experts from Europe visited the school and said it was better than the education in their country. What contribution can A f I D volunteers make in addressing these needs? I want absolute transparency. AfID is helping our local staff to ensure donor reports are prepared properly and the accounting procedures comply with best practice as otherwise the donors won’t continue to give. I want Ahazaza to become self-sufficient financially through income generating projects such as our new Farm school and opening an internet cafe. To do this we need to improve our budgeting and monitoring of budgets. We also need to ensure that appropriate financial procedures are in place to record the transactions and control of our projects. If you don’t mind me asking...Where did you get the energy at your age to run a school? I have worked for four years without a holiday and without being paid. I have a healthy life, eat good food and have a strong will to succeed. Old people are more respected in Rwanda. I couldn’t face growing old in Europe where I would juggle playing bridge, going to the hairdressers and doing charity work for the local church. So are there any other projects up your sleeve once Ahazaza is up and running? The development of a farm school and ensuring the school becomes self sufficient is my main priority. I want to ensure the continuity of the school so that the people of Rwanda can lift themselves from poverty. The philosophy behind the farm school is to teach smallholders how to make the most of their plot of land by teaching them about agriculture, organic farming methods and breeding animals, as well as basic financial and economic principles.